We need to keep in mind that nutrition is also key to all weight training. Getting enough protein and enough calories will ultimately determine whether your shoulders will grow or not. If you neglect protein requirements and do not get enough overall calories (calorie surplus) then this guide will be a waste of time. If you are in a calorie surplus and getting enough protein… read on! 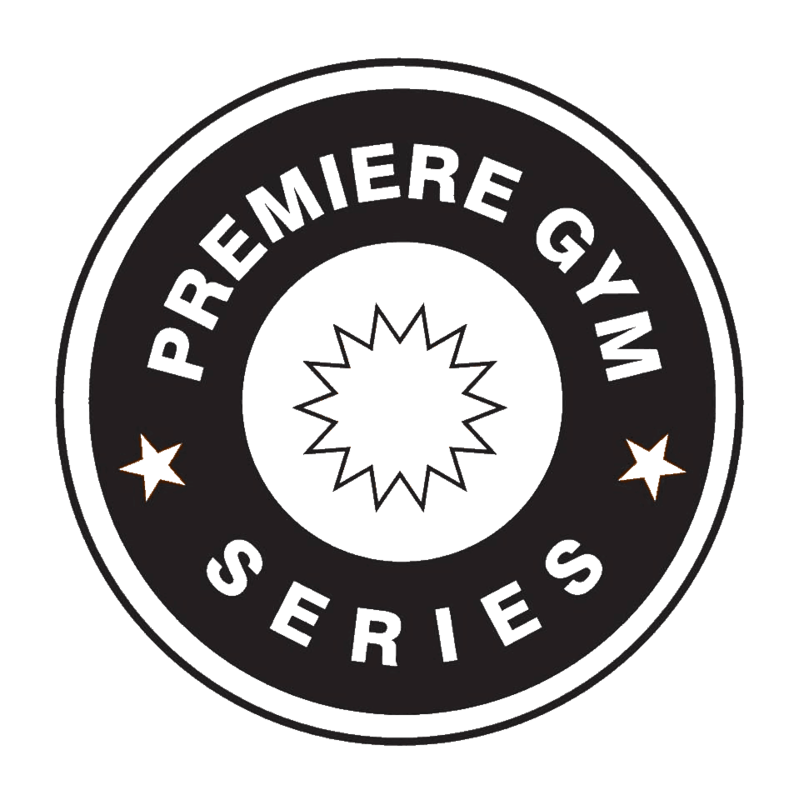 It’s about getting off almost all of the machines and isolation exercises, and getting onto heavy compound movements such as the seated or standing military press. 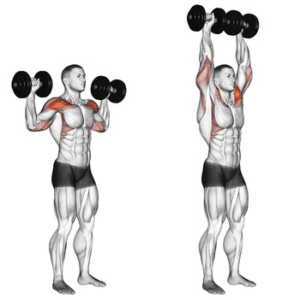 You will begin your shoulder workout with either Seated or Standing Military Press (with either dumbbells or barbells). The standing variation brings more of your core into play which is not a bad thing, but some people like to give their core/abs a rest and will resort to the seated variation. 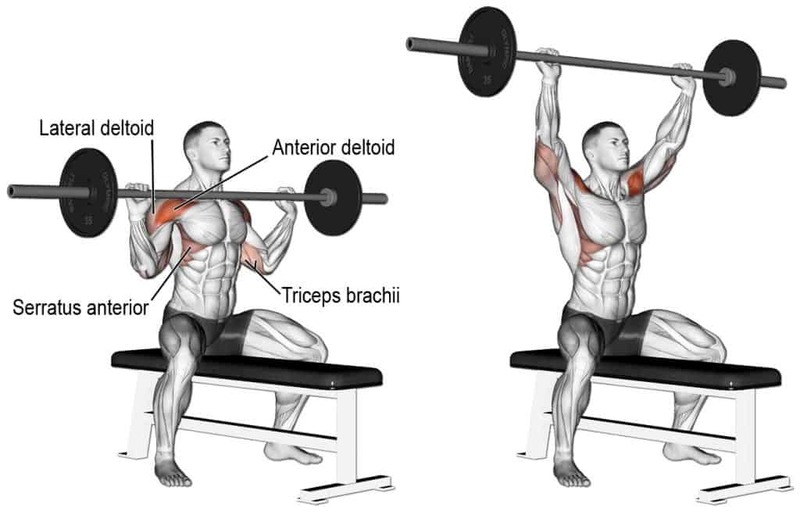 The following exercises are particularly effective for building decent shoulders. 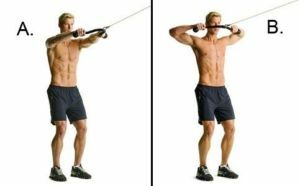 Each exercise is linked to a demonstration video. So an outstanding shoulder workout starts with a strong foundation. 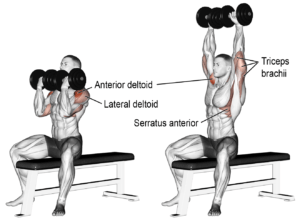 It is suggested that you start with either barbell or dumbbell shoulder pressing, either seated or standing. And the remaining two exercises are of your choice — although some exercises will emphasize different parts of the shoulder. This is how you would structure my “shoulder” day. Always start with warm-up sets first. 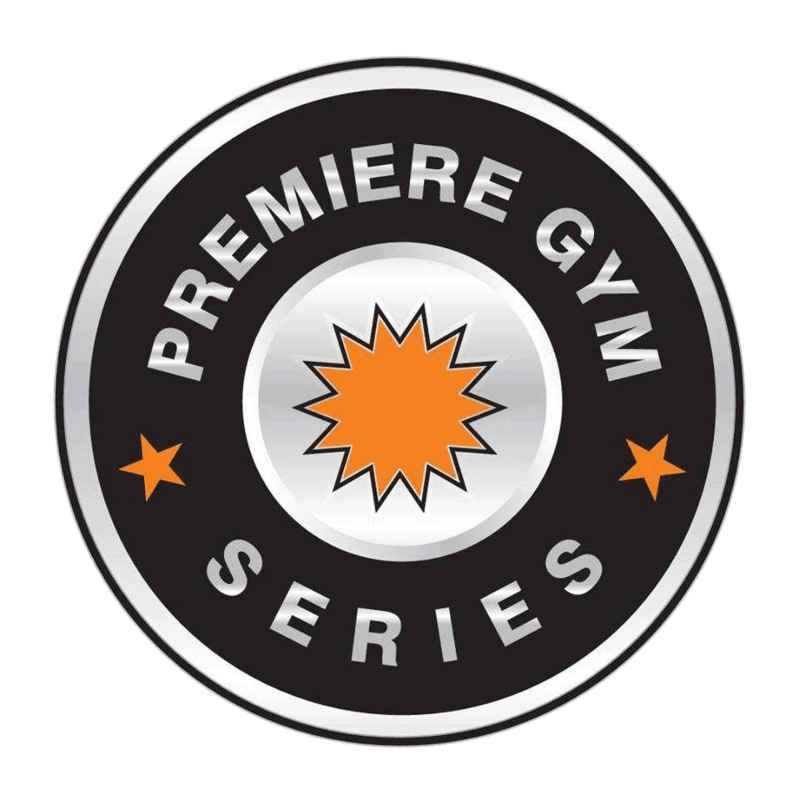 Do not attempt the working sets unless you have first completed the dynamic warm-ups. Once I complete the warm-up sets on the overhead shoulder press, I will start doing “work” sets with the overhead shoulder press. Keep the rest period around 3 minutes and emphasize heavy weight — enough to complete 5 to 7 repetitions. When you can achieve 7 repetitions, move up in weight by 5 pounds or 2.5 kg.